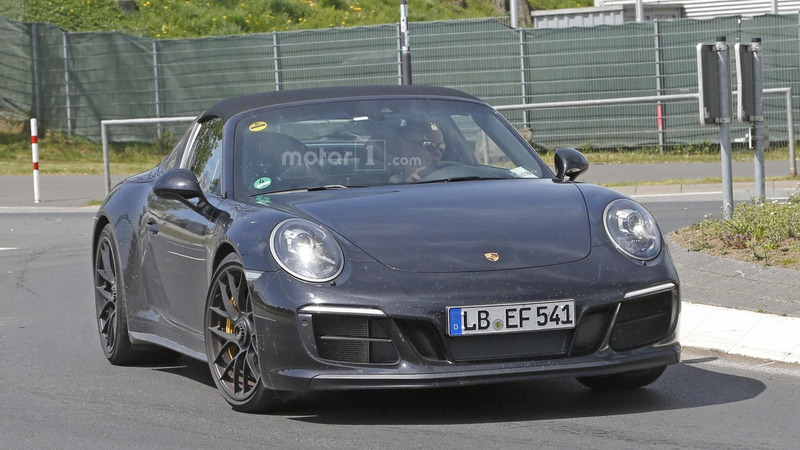 Porsche continues to rollout facelifted variants of the 911 and it appears the 911 Targa GTS is one of the next in line. 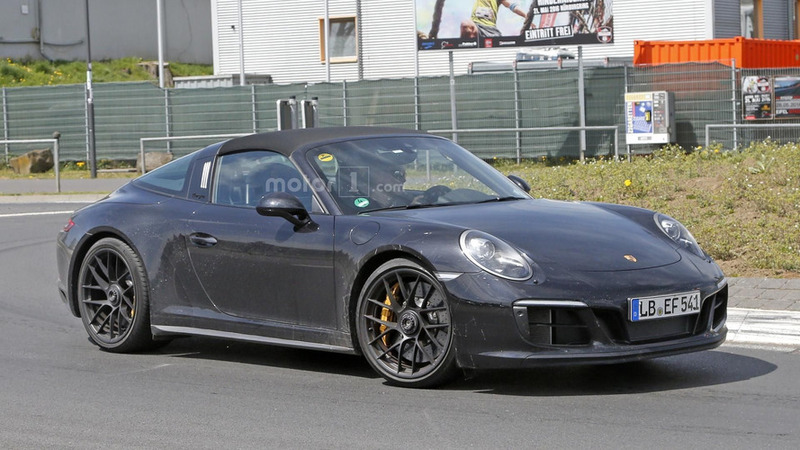 Recently spotted undergoing testing near the Nürburgring, the updated model has a sportier front bumper and slender LED daytime driving lights. This particular prototype has also been equipped with center-locking wheels, a blacked out targa bar, and a ventilated rear bumper. We can also see a dual exhaust system and a high-performance braking system with yellow calipers. Spy photographers couldn't get close enough to snap interior photos but drivers can expect to find a new steering wheel and an upgraded Porsche Communication Management system. Bigger changes are expected in the engine compartment as the naturally-aspirated 3.8-liter six-cylinder engine is slated to be replaced by a new biturbo 3.0-liter flat-six. There's no word on performance specifications but the engine is expected to be more powerful the current mill that develops 430 horsepower and 324 pound-feet of torque. This enables the car to accelerate from 0-62 miles per hour in 4.3 seconds before hitting a top speed in excess of 186 mph. 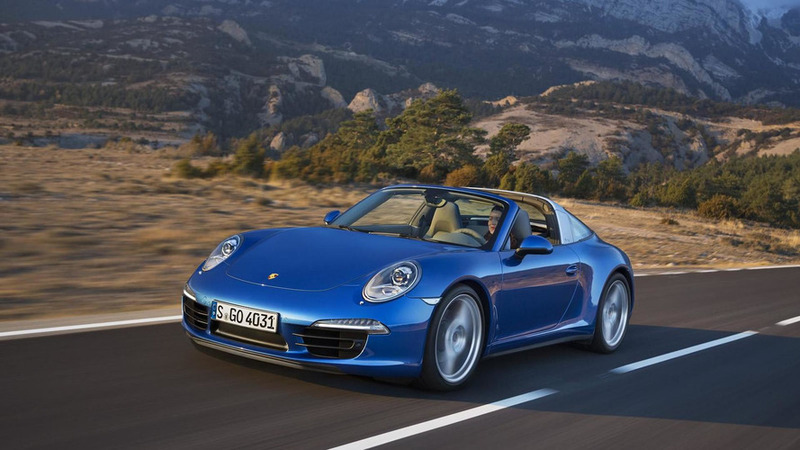 Speaking of performance, the 911 Targa GTS is slated to come with an assortment of performance-minded features including a standard Sport Chrono package and a Porsche active suspension management system.